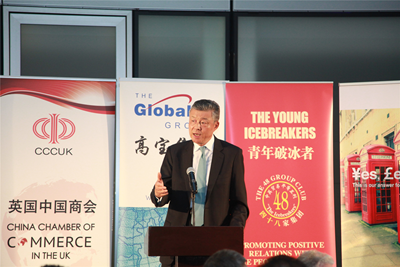 On June 2, Ambassador Liu Xiaoming was invited to attend the Young Icebreakers' 9th Anniversary Dinner of the 48 Group Club and delivered the keynote speech: Make Belt and Road Cooperation a Dream Come True. Stephen Perry, Chairman of the 48 Group Club, Lord Bates, Minister of State of the Department for International Development, Lord Howell, Chairman of the House of Lords International Relations Committee, Lord Sassoon, Chairman of the China-Britain Business Council, Lord McNally, former Secretary of State for Justice, Lord Davidson, former Advocate General for Scotland, Sir William Ehrman, former British Ambassador to China, Sun Yu, Chairman of China Chamber of Commerce in the UK, and over 200 people from the political, business, financial, and academic sectors, Young Icebreakers and representatives from Chinese enterprises in the UK, were present. In his speech, Ambassador Liu used the acronym of the Belt and Road Forum to highlight the significance of the Forum: B for blueprint for cooperation, R for resonance among participants and F for fruitful outcomes for all to share. He stressed that this Forum was a forward-looking summit, a consensus-building summit, and a summit of fruitful outcomes for all to share. Its core principles of extensive consultation, joint contribution and shared benefit advocated by the Belt and Road Initiative have become widely accepted. And its objectives, namely, policy coordination, infrastructure connectivity, unimpeded trade, financial integration and people-to-people bond, have become the common goals of all interested parties. 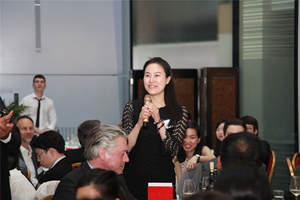 Ambassador Liu noted that this year marks the 45th anniversary of the ambassadorial ties between China and Britain, and it is also a year for consolidating the "Golden Era" of China-UK relations. With regard to the Belt and Road, there is huge potential and bright prospects for China-UK cooperation as the two countries enjoy strategic consensus, solid foundation and strong momentum. China is ready to join hands with Britain to build consensus and advance cooperation on the Belt and Road Initiative so as to benefit the people in China, in Britain and beyond. 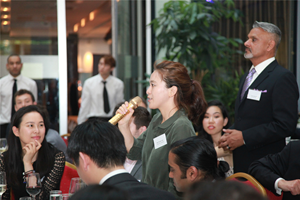 Ambassador Liu expressed his hopes for the Young Icebreakers: First, they should be the champions of the Belt and Road cooperation, learn more about and build up confidence in this Initiative, and help the British public to do so; Second, they should be active participants in the Belt and Road Initiative, give full play to their wisdom, talents and creative spirit, and actively participate in Belt and Road development in their own fields to deliver more fruitful outcomes; Third, they should be effective communicators for the Belt and Road Initiative, enhance dynamic interaction to contribute new and creative ideas, so as to spread positive energy and forge closer people-to-people bond. 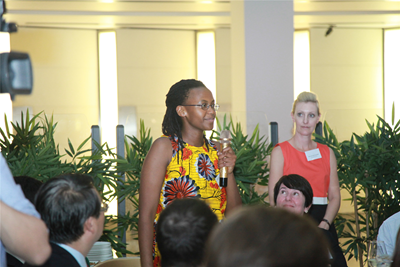 After the speech, Ambassador Liu answered questions on cultural exchange and cooperation between China and UK under the Belt and Road Initiative, the role of young people in Belt and Road development, the influence of youth on the future of the country, and the impact of Brexit referendum on China-UK relations, etc. In his speech, Chairman Perry talked about his impressions of the Belt and Road Forum in Beijing. He said that China's rapid development in the past three decades has contributed greatly to the world economic growth. Belt and Road building will become a new engine for world economic development. 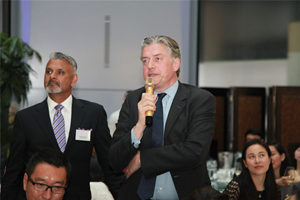 He expressed the hope that the Young Icebreakers should actively contribute to the Belt and Road building and the "Golden Era" of China-UK relations. 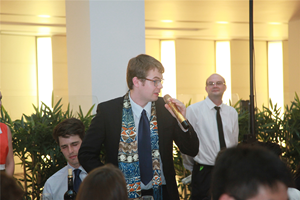 The Young Icebreakers was established as part of the 48 Group Club in May 2008. 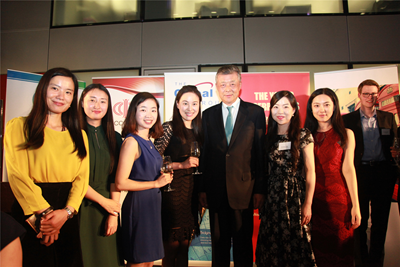 It is dedicated to advancing the exchanges and understanding between the young people of China and Britain, promoting cooperation in the areas of trade, education and culture, and developing China-UK relations.